Retirement can take many forms. Plan now with a professional so your retirement is what you want it to be. Retirement today rarely involves leaving the workforce completely. Many people may need the income, but most of us need the meaningful use of our skills and abilities to stay healthy—mentally and physically. Planning for these years should give you the flexibility to choose if and when you work, volunteer, travel, or play with the grandchildren. We’ve seen expensive, elaborate and detailed plans that frequently become obsolete because of life’s unexpected events. Life changes such as an unplanned pregnancy, a disability, or perhaps parents moving back home will affect your future. We use broad strokes to create a financial plan with flexibility, then periodically revisit the plan to see if changes are needed to accomplish your goals. We begin by reviewing your financial situation and discussing your short- and long-term goals. We’ll talk about your family situation and business involvement; review your investments and assets; and discuss your dreams for retirement. Together we’ll develop the plan that fits your goals, timeline and situation. 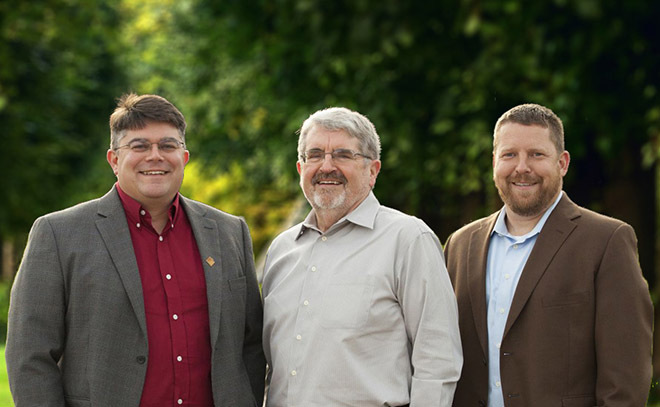 Our affiliates at JGC Wealth, Larry Glaze, CFP®, and Michael Blanchard, CPA are here to help you plan for retirement. Carrying out your plan along with periodic reviews will move you toward financial independence during your working years and through retirement. We can also work with your current investment advisor to coordinate our planning with their products. Larry Glaze is a Certified Financial Planner™ professional, and Michael Blanchard is an advisor and CPA. Learn more about the financial services we provide through JGC Wealth Management. To prepare for our first meeting, please download and fill out the checklist below. It will help you gather the documents and information we will need for our discussion. Then contact us to schedule a no obligation first appointment.